The result was announced during trading hours today, 25 July 2018. Meanwhile, the S&P BSE Sensex was up 35.28 points, or 0.10% to 36,860.38. On the BSE, 3.16 lakh shares were traded in the counter so far compared with average daily volumes of 63,000 shares in the past two weeks. The stock had hit a high of Rs 1477.90 so far during the day, which is also a record high for the counter. The stock had hit a low of Rs 1328.60 so far during the day. The stock hit a 52-week low of Rs 791.48 on 11 August 2017. 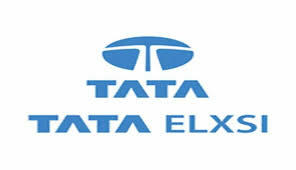 Tata Elxsi is amongst the world's leading providers of design and technology services for product engineering and solutions across industries including broadcast, communications and automotive. It provides technology consulting, new product design, development, and testing services. Tata Elxsi also provides solutions and services for emerging technologies such as IoT (Internet of Things), big data analytics, cloud, mobility, virtual reality and artificial intelligence.